For more information or to place an order please contact us. A project completed for a customer with a 1997 Ford Thunderbird coupe. 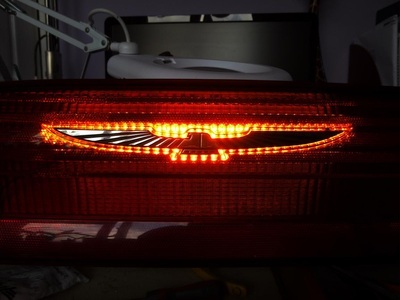 We were asked to place amber turn signals within the rear light panels. 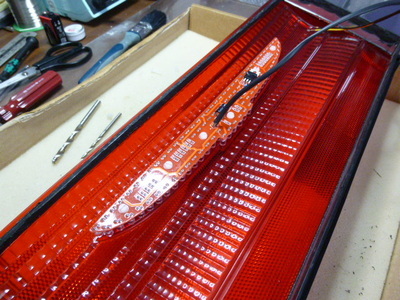 The original customer spec was to place a thin strip of Amber LEDs along the top edge of the light housing. After receiving the light lenses we decided to be a little more creative. After discussing the idea with the customer bespoke LED boards were designed, built and mounted behind the T-Bird emblem. 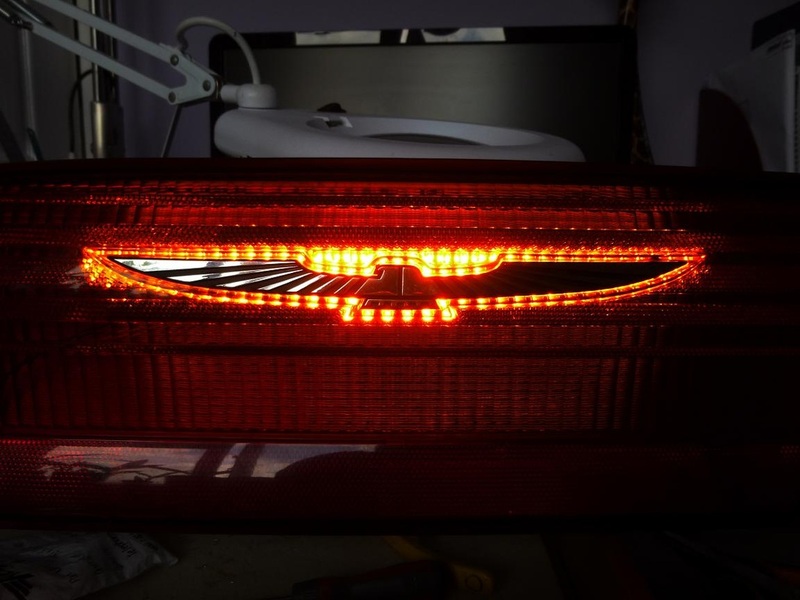 This results in the emblem being illuminated when the turn signals flash. Not only does this provide a clear and safe signal to following drivers is gives a bespoke look to the vehicle. 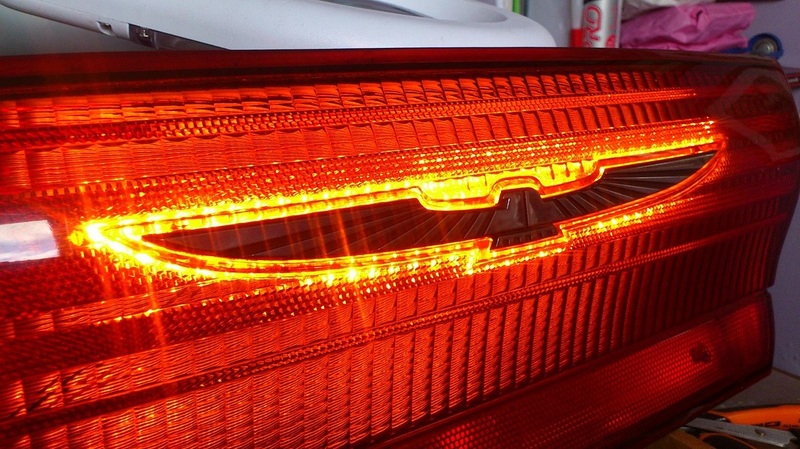 You certainly won't see another T-bird with lights like these! 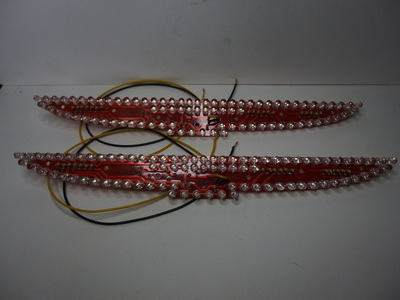 These would also look great with red LEDs to be used as additional brake lights and turn signals for the US market. We were asked to provide a switchable sequential turn signal controller for a 1964 Thunderbird. This would allow the customer to switch between a sequential flash and all three bulbs flashing together. The video shows the testing of the control module. These are due to be installed later in the year and we will update with better photos and videos. We ship worldwide. Please contact us for a quote.